There is an electric ‘On-Air’ sign in the studio of Inishowen Live, in the upstairs front room of a three-storey building on Malin Street, Carn. The sign lights up a shade of warning red when Inishowen Live, a local Internet radio station, is actually live, something it is for six hours every day. 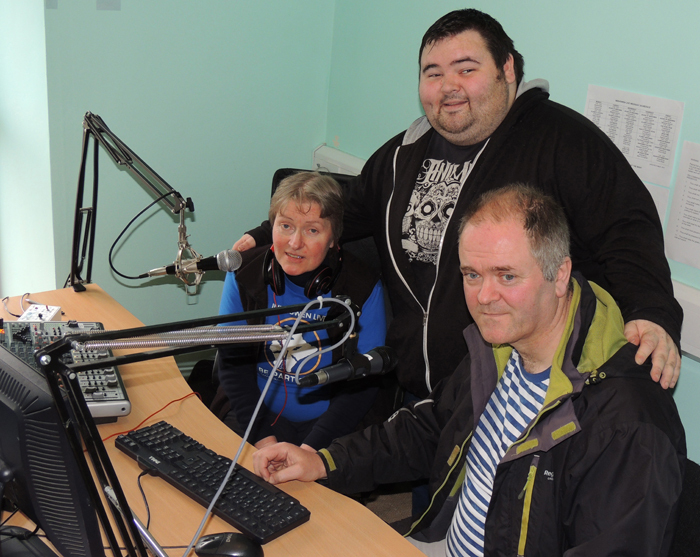 This Saturday, March 29 marks exactly one year of broadcasting for the enthusiastic crew, all of whom are volunteers and most former presenters of the now defunct Inishowen Community Radio. “I think the old ICR board had a lot of winding up to do and a lot of loose ends to take care of but we decided to side step all of that and start something else – and here we are still, a year later,” Inishowen Live chairperson Marianne Ashcroft explained. Marianne, whose voice is heard most often on IL Radio, says the station has grown its listenership steadily over the past twelve months.